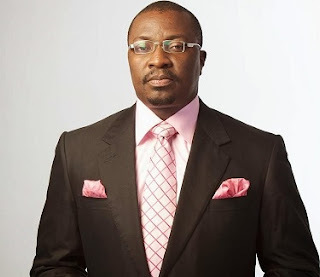 Ace comedian, Ali Baba has reacted to the violence that erupted at the APC ward congress in Ekiti state. The comedian consequently condemned the country’s democracy, and referred to Nigeria as a ‘lawless and failed country’. DAILYPOST reports that the All Progressives Congress (APC) primary in Ekiti State was on Saturday suspended indefinitely over violence that erupted. “Now, right there, with cameras rolling, in the full glare of everyone, is the reason our country is still where it is. Where one person or 2 people can truncate an electoral process and just walk off. This is just like what Orubebe did. ” This is what those guys did when they walked into the hallowed chambers of the National Assembly and carried the mace, a symbol of authority in the highest law making institution of the land. This is what herdsmen daily. “This is what people who dip hands into government coffers and loot to their heart’s content do. This is what people who carry ballot boxes do. This is what happens when law makers break each other’s head on the assembly floor. “This is how a man can walk into a government house carry a sitting governor of a state, and constituted authority are negotiating with him to release “his excellency” and the kidnapper kept the governor for as long as he wanted. “And nothing happened. This is what police men do to harmless citizens. This is what military officers do and get away with. You know why? We are a lawless country. We don’t meet out commensurate punishments to these kinds of elements. So they do it again and again. Can you imagine how confident and arrogant the grey bearded guy was? Or the guy in the danshiki? Just imagine if he was a university student. Dead. “That’s what he would be. Think about it. If these 2 can do this, with all cameras rolling, CAN YOU IMAGINE WHAT THEY CAN DO TO ANYONE WHO CROSSES THE PATH OF THEIR GODFATHER off camera? Dead!!!!. “That’s the democracy we are practicing. And you are thinking things will change? Pardon me, do you think only these 2 exist? Naaaa. By these actions they have emboldened 2 million others. Who will now believe its doable. I cry my beloved country. Now I really want that dual citizenship. Failed country. “Yes. Go call the police. This is the one they will have power to deal with. Ali Baba said Nigeria is a failed country. But all the people who I mentioned, that went against constituted authority, are walking free. But it’s me, that says, that is proof, that we do not have a country, I’m the person to be invited for questioning.